The holiday season is upon us, and so are its attendant myths, most prominent of which is the Santa Claus story. This is the time that many children are told about a man who lives forever, resides at the North Pole, knows what every child in the world desires, drives a sleigh pulled by flying reindeer and enters one’s house through a chimney, which most children don’t even have. Given the many absurdities and contradictions in this story, it’s surprising that even young children would believe it. Yet research from my lab shows that 83 percent of five-year-olds think that Santa Claus is real. At the root of this paradox is a very basic question regarding the nature of the young child as an inherently credulous being – that is, believing everything he or she is told – versus a rational one. The noted author and ethologist Richard Dawkins, in a 1995 essay, proposed that children are inherently credulous, and prone to believing in just about anything. He even suggested that it was an evolutionary advantage for children to believe. He illustrated that quite convincingly with an example of a young child living near an alligator-infested swamp. His point was that the child who is skeptical, and prone to critically evaluating his parents’ advice not to go swimming in that swamp, has much less chance of surviving than does the child who unthinkingly heeds his parents’ advice. This view of young children who believe easily is shared by many, including 18th-century philosopher Thomas Reid, and developmental psychologists, who argue that children are strongly biased to trust what people tell them. Not very different from adults? Yet research from my lab shows that children actually are rational, thoughtful consumers of information. In fact, they use many of the same tools as adults to decide what to believe. So, what are some of the tools that adults use to decide what to believe, and what evidence is there that children possess them? I’ll focus on three: One is attention to the context in which new information is embedded. A second is the tendency to measure new information against one’s existing knowledge base. And the third is the ability to evaluate the expertise of other people. Let’s look first at context. Imagine reading an article about a new species of fish – let’s call them “surnits.” Then imagine you’re reading this article in two very different contexts – one in which your doctor is late and you’re in the waiting room reading the article in a copy of National Geographic, the official magazine of a scientific society. In another context, you encounter a report of this discovery while waiting in line at the grocery store and perusing the National Enquirer, an American supermarket tabloid. My guess is that the context surrounding your introduction to this new information would guide your judgment about the reality status of this new fish. We essentially did this with children. We told them about animals they’d never heard of, like surnits. Some children heard about them in a fantastical context, in which they were told that dragons or ghosts collect them. Other children learned about surnits in a scientific context, in which they were told that doctors or scientists use them. Children as young as four were more likely to claim that surnits really existed when they heard about them in the scientific context versus in the fantastical context. One of the primary ways we, as adults, learn about new things is by hearing about them from others. Imagine hearing about a new kind of fish from a marine biologist versus from your next-door neighbor who often regales you with reports of his alien abductions. Your evaluation of the expertise and trustworthiness of these sources presumably will guide your beliefs about the true existence of this fish. In another research project, we presented young children with novel animals that were either possible (e.g., a fish that lives in the ocean), impossible (e.g., a fish that lives on the moon) or improbable (e.g., a fish as big as a car). Then we gave them the choice to figure out on their own whether the entity really existed or to ask someone. They also heard reports from either a zookeeper (an expert) or a chef (a nonexpert). We found that children believed in the possible entities and rejected the impossible ones. Children made these decisions by comparing the new information to their existing knowledge. For the improbable animals – ones that could possibly exist but were rare or odd – children were significantly more likely to believe in them when the zookeeper claimed they were real than when the chef did. In other words, children use expertise, just as adults do. If children are so smart, why do they believe in Santa? 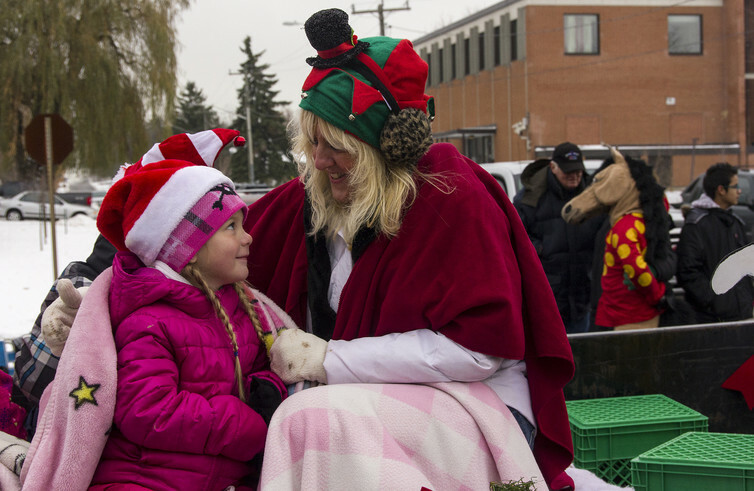 The reason is simple: Parents and others go to great lengths to support the Santa myth. In a recent study we found that 84 percent of parents reported taking their child to visit more than two Santa impersonators during the Christmas season. The Elf on the Shelf, originally a children’s picture book about elves who inform Santa about children’s behavior around Christmastime, is now a multi-million-dollar franchise. And the United States Postal Service now promotes a “Letters from Santa” program in which it provides personal replies to children’s letters to Santa. Why do we feel compelled to go to such great lengths? Why does Uncle Jack insist on climbing onto the roof on Christmas Eve to stomp around and shake jingle bells? The answer is simply this: Children are not unthinkingly credulous and do not believe everything we tell them. So, we adults must overwhelm them with evidence – the bells on the roof, the live Santas at the mall, the half-eaten carrot on Christmas morning. Given this effort, it essentially would be irrational for children not to believe. In believing in Santa Claus, children, in fact, exercise their scientific thinking skills. First, they evaluate sources of information. As ongoing research in my lab indicates, they’re more likely to believe an adult than a child about what’s real. Second, they use evidence (e.g., the empty glass of milk and half-eaten cookies on Christmas morning) to come to a conclusion about existence. Other research from my lab shows that children use similar evidence to guide their beliefs about a fantastical being, the Candy Witch, who visits children on Halloween night and leaves new toys in exchange for candy. Third, research shows that, as children’s understanding becomes more sophisticated, they tend to engage more with the absurdities in the Santa Claus myth, like how a fat man can fit through a small chimney, or how animals could possibly fly. Wondering what to tell your child? Some parents wonder whether they are harming their children by engaging in the Santa myth. Philosophers and bloggers alike have mounted arguments against perpetuating the “Santa-lie,” some even claiming that it could lead to permanent distrust of parents and other authorities. There is no evidence that belief, and eventual disbelief in Santa, affects parental trust in any significant way. Furthermore, not only do children have the tools to ferret out the truth; but engaging with the Santa story may give them a chance to exercise these abilities. So, if you think it would be fun for you and your family to invite Santa Claus into your home at Christmas time, you should do so. Your children will be fine. And they might even learn something.